Albert von Szent-Györgyi Nagyrápolt was a Hungarian born American physiologist who received the Nobel Prize in Physiology or Medicine in 1937. 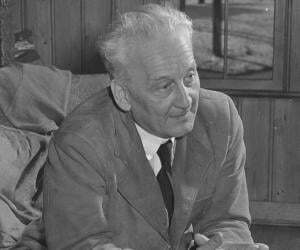 Albert von Szent-Györgyi Nagyrápolt was a Hungarian born American physiologist who received the Nobel Prize in Physiology or Medicine in 1937 “for his discoveries in connection with the biological combustion processes, with special reference to vitamin C and the catalysis of fumaric acid”. His work on muscular contractions was a breakthrough advancement in the field of muscle research. His work also provided the basis for Sir Hans Krebs’s explanation of the complete conversion cycle – ‘the Krebs cycle’. He researched ‘submolecular’ biology, applying quantum physics to biological processes. Later in life, he grew immense interest in cancer and he was one of the first to investigate free radicals as a potential cause of the deadly disease. His long illustrious scientific career included a number of popular publications like‘The Crazy Ape’, ‘On Oxidation, Fermentation, Vitamins, Health, and Disease’, ‘Chemical Physiology of Contractions in Body and Heart Muscle’, and ‘Introduction to a Submolecular Biology’. He served on the front during World War I and during World War II he was active in the Hungarian Resistance Movement. After the war was over, he became a Member of Parliament. 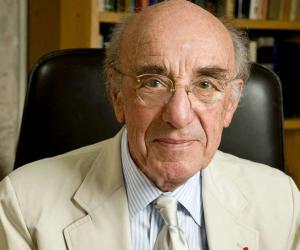 Apart from the prestigious Nobel Prize, he also won the Lasker Award in Basic Medical Research in 1954. 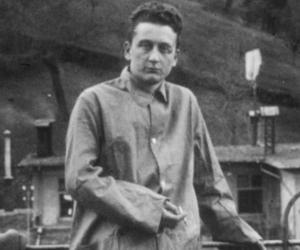 Szent-Györgyi was born on 16 September, 1893 in Budapest, Hungary. His father, Nicolaus von Szent-Györgyi, was a landowner and his mother, Josefine belonged to the famous Lenhossék family. His maternal grandfather, Joseph Lenhossék and maternal uncle, MichaelLenhossék were both Professors of Anatomy at the University of Budapest. This influenced his interest in science right from childhood. Music was also encouraged among the Lenhossék family members and young Albert excelled in piano. After his matriculation in 1911, he studied at his uncle's laboratory for some time. When World War I began, he served on the Italian and Russian fronts. However, he was against war and thus got eager to return to his studies. In desperation, he wounded himself to escape his warfare duties and was released in 1917. After returning from the war, he completed his studies in Budapest. He then worked in turn with pharmacologist G. Mansfeld at Pozsony, Armin von Tschermak at Prague, and L. Michaelis in Berlin. Later, he did a two-year course in physical chemistry at the Institute for Tropical Hygiene, Hamburg. In 1920, Szent-Györgyi joined the University Institute of Pharmacology in Leiden as a research assistant. From 1922 to 1926, he worked with H. J. Hamburger at the Physiology Institute, Groningen, Netherlands. In 1927, a Rockefeller Fellowship took him to Cambridge where he worked under F. G. Hopkins. 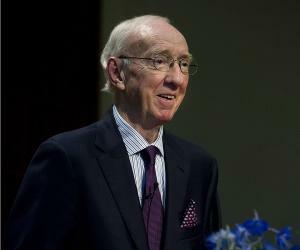 He also spent a year at the Mayo Foundation, Rochester, Minnesota, before returning to Cambridge. In 1930, he obtained the Chair of Medical Chemistry at the University of Szeged and in 1935 he also took the Chair of Organic Chemistry. In 1937, he received the Nobel Prize in Physiology or Medicine “for his discoveries in connection with the biological combustion process with special reference to vitamin C and the catalysis of fumaric acid”. In 1938, he discovered the proteins actin, myosin and their complex while researching the biophysics of muscle movement. He found that the combination of these proteins and energy aided muscle contraction. His findings formed the groundwork of muscle research in the next decades. In 1940, he offered his Nobel Prize money to Finland in support of Hungarian volunteers who travelled to Finland to fight against the Soviet Union during the Winter War of 1939–1940. During World War II, he supported the Hungarian Resistance Movement. In 1944, he visited Cairo on a secret mission to initiate talks with the Allies. On learning of this plan, Hitler issued his arrest warrant. However, he escaped house arrest and spent a year as a fugitive. By the time the war was over, he was a famous personality. He was elected a Member of Parliament and helped re-establish the Academy of Sciences. He also established a laboratory at the University of Budapest and became head of the biochemistry department there. Unhappy with the Marxist rule in his homeland, he migrated to the United States in 1947. In the US, he established the Institute for Muscle Research at Woods Hole, Massachusetts, with financial help from a Hungarian businessman, Stephen Rath. He became the Director of Research at the institute. In 1948, he joined as a researcher at the National Institutes of Health (NIH) in Bethesda, Maryland, and began dividing his time between the two institutes. During the 1950s, he began using electron microscopes to study muscles at the subunit level. He also developed an interest in cancer and applied the theories of quantum mechanics to the quantum biology of cancer. In 1954, he was honoured with the Lasker Award. The following year, he became a naturalized citizen of the United States. In 1956, he became a member of the National Academy of Sciences. He led a politically active life and in 1967, signed a declaration of refusal to pay taxes as a protest against the U.S. war in Vietnam. He also urged others to do the same. Later in life, he began to investigate free radicals as a potential cause of cancer. He considered cancer as an electronic problem at the molecular level. He was in a monetary mess after the death of Rath, his institute’s financier. However, he refused to submit for government grants as he was reluctant to share the minute details of his research, ahead of time. In 1973, he revolutionized cancer research funding by co-founding a non profit cancer research fund, NFCR with attorney Franklin C. Salisbury. Since then, NFCR has funded more than $275 million in researching cancer. In 1974, based on his interests and research in quantum physics, he proposed to replace the term ‘negentropy’ with ‘syntropy’. His early researches concerned cell respiration. 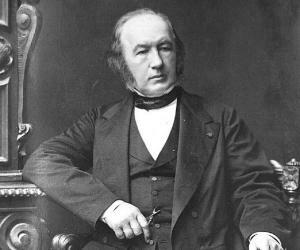 He described the interdependence of oxygen and hydrogen activation and also demonstrated the existence of a reducing substance in plant and animal tissues. At Cambridge and in the US, he isolated the reducing substance from adrenals, now known as ascorbic acid. He exhibited the anti-scurvy property of ascorbic acid and discovered that paprika was a rich source of vitamin C.
Some of his famous publications are ‘On Oxidation, Fermentation, Vitamins, Health, and Disease’ (1940), ‘Introduction to a Submolecular Biology’ (1960), ‘The Crazy Ape’ (1970), ‘Electronic Biology and Cancer: A New Theory of Cancer’ (1976), and ‘Bioelectronics: a study in cellular regulations, defence and cancer’. The Nobel Prize in Physiology or Medicine was awarded to Szent-Györgyi in 1937 “for his discoveries in connection with the biological combustion processes, with special reference to vitamin C and the catalysis of fumaric acid”. 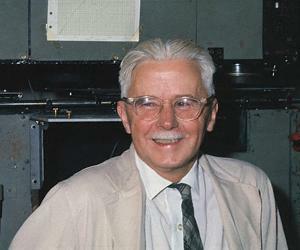 He also received the Cameron Prize (Edinburgh) in 1946 and the Lasker Award in 1954. He was member of many scientific societies. He was President of the Academy of Sciences, Budapest, and a Vice-President of the National Academy, Budapest. He was Visiting Professor, Harvard University in 1936 and Franchi Professor, University of Liège, 1938. Szent-Györgyi got married four times. He first married Cornelia Demény, daughter of the Hungarian Postmaster-General, in 1917. The couple had a daughter. In 1941, he married Marta Borbiro Miskolczy, who died of cancer in 1963. He was completely anti-Nazi. During World War II, he became a Swedish citizen as he was given extensive help by the Swedish Embassy in Budapest. He died in Woods Hole, Massachusetts on 22nd October, 1986. He was interested in all kinds of sports, especially sailing and alpinism.